Jobs and the economy seem to be on the minds of everyone these days. Nowhere is that more evident than in the Shenandoah Valley where businesses have been hit hard the past several years with numerous layoffs and closings. Today, just one week before seniors graduate from James Madison University, Congressman Bob Goodlatte (R-6th CD), who represents western Virginia from Winchester to Roanoke, will hold a Job Fair at the JMU Convocation Center in Harrisonburg. Representatives from local businesses, corporations, and federal agencies will be available to speak with those who attend. The timing may be just right for a Job Fair. While many graduates search online for jobs, it is more important than ever to use every available resource while looking for employment, according to Mike Helsen, vice president of student services at Baker College's Muskegon campus. He suggested, "Make direct contact with an employer, use family and friends and people you meet to develop leads." Fox Business reported that 2010 college graduates will still face a highly competitive job market but with a slightly improved chance of employment and higher wages. Looking to bring more jobs to Virginia, Congressman Goodlatte believes in helping small businesses expand so they can hire more workers. Eliminiation of the capital gains tax could encourage firms to hire and retain workers, and keeping taxes low could encourage families to invest and save. Unemployment benefits should not be taxed, in his opinion, because that money could be used to pay the rent and put food on the table. 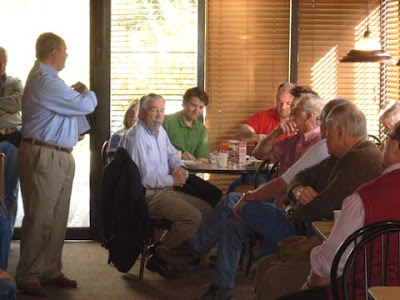 In addition, Congressman Goodlatte would like to see federal spending reined in and the budget balanced, and he has introduced bipartisan legislation that would amend the United States Constitution, forcing Congress to cut spending and balance the budget. Similar job fairs have been held in other parts of the Commonwealth by Congressman Eric Cantor (R-7th CD) and U.S. Senator Mark Warner (D). Many local businesses will be represented next week including Massanutten, Wintergreen, and Bryce ski resorts, The Homestead Resort, James Madison University, Eastern Mennonite University, Rockingham Memorial Hospital, Wal-Mart Distribution Center, and RR Donnelly. All participating companies can be found at the website which will be updated as additional companies sign on. The Job Fair is free and open to the public and will be held Friday, April 30, from 9:00 am until 4:00 pm, at the James Madison Convocation Center on University Boulevard in Harrisonburg, Virginia. Contact Congressman Goodlatte's Harrisonburg office for more details at (540) 432-2391. Some people love him ... some people hate him. However he is viewed, Glenn Beck has made the Barack Obama administration sit up and take notice as he educates America with blackboard illustrations, offers to listen to government insider whistle blowers, his use of those knowledgeable in their fields, and all the research, research, research. Who'd have thought a history buff with a quirky sense of humor and a chalkboard could make for such riveting television? ... Self-taught, he's become America's professor of common sense, sharing earnestly sought knowledge with an audience hungry for truth. Glenn, 46, tackles topics other news shows would regard as arcane. Gov. 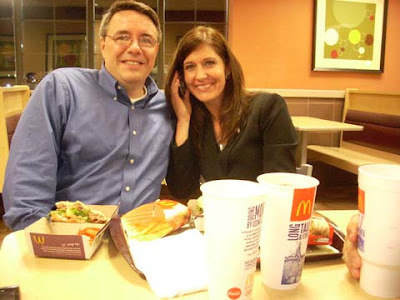 Palin mentions the red phone on Glenn's Fox News television set, the phone dedicated to calls from the Obama administration informing Glenn he is wrong about an issues. So far, the phone has remained silent which is not surprising considering the exhaustive amounts of research done by Mr. Beck and his staff. Staggered elections are nothing new in Staunton, Waynesboro, Rockbridge County, and Shenandoah County. At Wednesday's Augusta County Board of Supervisors meeting, Pastures District Supervisor Tracy Pyles broached the idea of changing to staggered elections in the county. Noting that many localities already have such a voting policy in place, Supervisor Pyles said it would be a better way to weigh the mood of the people who currently have to wait four years for elections. Under his proposal, supervisors would be voted every two years with three up for election and then four up for election two years later. 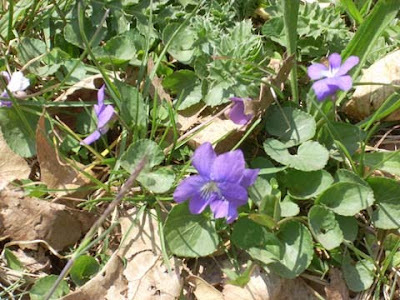 Bob Stuart at the Waynesboro News Virginian has the details. Check out my latest writing in the Washington Examiner's Opinion Zone -- "Bob's for Jobs" ... Virginia lands Northrop Grumman. DJ McGuire has what I consider a must-read post about the new Arizona immigration law and his reasons for holding back a bit before jumping in the opinion pool. I must say I agree with him about Byron York. Pat Mullins: "Bob McDonnell was focused on job creation"
"We knew Bob McDonnell was focused on job creation and economic development, but I don't think anyone expected his team to land a Fortune 100 company just 101 days into his term. But in hindsight, it's not surprising at all," Mullins said. "Governor McDonnell made it clear from the first day of the campaign that jobs and economic development were at the top of his priority list," he said. "Anyone who's spent any sort of time around the Governor's team knows how focused they've been on this goal, putting in untold hours of effort, laying the foundations for new employers to make Virginia home. Lt. Gov. Bill Bolling has embraces his role as Chief Job Creation Officer with unbridled enthusiasm, and the Commonwealth has more jobs to show for it." "Our Republican team in the General Assembly threw their efforts in during the legislative session, fighting off job-killing tax increases and regulation," he said, "while giving the Governor's team a whole new set of economic development tools to use, like a larger and more flexible Governor's Opportunity Fund, tax credits for major employers who bring large numbers of jobs to the Old Dominion, and incentives for clean energy and biotechnology companies." "And yet today's announcement is simply the latest milestone on the road a better future for the Old Dominion that has seen new jobs Danville, Waynesboro, Southwest Virginia, Frederick County, Charlotte County and other places," Mullins said. "Congratulations, Governor, on a remarkable achievement. Virginia's future is all the brighter thanks to your efforts." While McAuliffe was talking, Governor McDonnell was working. While Terry McAuliffe was playing politics, Governor McDonnell was in Martinsville announcing a the creation of 110 new jobs. Six hours later, he landed a Fortune 500 company, on his 101st day in office. See Washington Post: McDonnell, Northrop [Grumman] confirm company has chosen Virginia for headquarters, April 27. Bottom line: Bob McDonnell talks the talk and walks the walk. Former Virginia Governor George Allen (R) will appear today on the Fox Network today. At 6:15 pm ET, he’ll be live in studio with Neil Cavuto on Fox Business Channel’s “Cavuto” discussing President Obama’s debt commission. Deerfield, that crossroads in western Augusta County that many pass on the way to Highland County, may see new jobs, thanks to MGW Communications. Smith said the new operations will serve a variety of electric, cable and other companies in Virginia, West Virginia and North Carolina. Smith said the operation in the Deerfield Community Center could mean 10 to 15 jobs by the end of the year and as many as 20 to 40 jobs later. “We are trying to breathe some life into this area,’’ Smith said. This is indeed good news for an area that has been hard-hit by the loss of industry and a sagging economy. Examiner: "Arizona takes the cuffs off police"
Arizona is dealing with issues most of us will never know ... almost half a million illegal aliens living in the state, police murdered by illegals, citizens murdered by illegals, number two kidnapping capital in the world, drug cartel gangs, financial drain on emergency services and schools ... and the list goes on. Well-known Arizona rancher Rob Krentz, whose family had owned their 35,000 acre ranch on the border with Mexico since 1907, was recently murdered by illegal aliens. 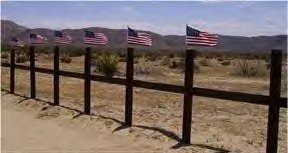 Even the Minutemen, a kind of citizens watch group established five years ago to protect the border, have disbanded due to increased violence. Are there any other countries in the world that are as lax in enforcing their immigration policies as America? Many countries are not as welcoming of outsiders as the U.S.; yet when the law of the land here is enforced, the immediate response is negative. Arizona Gov. Jan Brewer and state lawmakers decided enough was enough. With the United States government failing to protect the southern border, Arizona's only recourse was to put stronger teeth in its laws to protect its citizens. They are putting a finger in the dam and, quite frankly, doing the rest of America a favor. In fact, polls show most Americans and the majority of those in Arizona agree with the new law, as reported in the blog Wake Up America. An estimated 460,000 illegal immigrants reside in Arizona, which has become a main entry point for thousands of drug smugglers, human traffickers, potential terrorists, and others who often commit violent crimes against innocent people and their property. To its credit, Arizona made several previous attempts to deal with the growing problem, with limited success. In 2005, human smuggling became a state crime. In 2007, employers were prohibited from knowingly hiring illegal immigrants. But the invasion continued, and violent drug cartels have turned Phoenix into the kidnapping capital of the U.S.
Arizona has decided that if the federal government will not live up to its responsibility to control the border, it will. Governor Jan Brewer, a Republican, signed a bill that allows police officers to inquire about a person's immigration status if there is reason to suspect that individual might be an illegal immigrant. The governor correctly noted that the new law "represents another tool for our state to use as we work to solve a crisis we did not create and the federal government has refused to fix." Not surprisingly, Mexico's president condemned the law. Mexico has enough issues of its own dealing with drug lords, crime, and poverty ... it appears hypocritical to criticize the U.S. for trying to protect her people. Predictably, many in the MSM are on board with the naysayers. Media Research Center has been tracking media hypocrisy in their coverage of non-existent violence by tea party ralliers while ignoring actual violence by pro-illegal alien protesters in Arizona. - CBS's Smith: 'Will Anyone in GOP Break Ranks' on Financial Reform? The Media Research Center has been tracking media hypocrisy in their coverage of non-existenct violence by tea party ralliers while ignoring actual violence by pro-illegal alien protesters in Arizona. Erick Erickson writes, "When the sycophantic fanboys of the Democratic Party start predicting electoral disaster, the Democrats really must be in trouble." He concludes by saying, "The Democrats have overplayed their hand and now the voters will beat them like a drum come November." Let's hope everyone stays focused on the goal. Media Research Center's Brent Bozell will appear Tuesday on Fox & Friends around 7:15 a.m. to discuss the media's obsession with supposed but non-existent violence by Tea Party participants while ignoring actual violence by pro-illegal alien protesters in Arizona. Shenandoah Valley ... mint juleps ... hats ... horses ... South River Grill ... Run for the Roses. Nothing screams "southern" more than a good ole mint julep, fancy dressy hats, horses, and good food. Back by popular demand! Join other horse lovers and Wayne Theater Alliance supporters at the sensational Hermitage Hill Farm and Stables in the central Shenandoah Valley for Saturday's Kentucky Derby Run for the Roses. Enjoy live music by Rhythm Road ... watch the Derby on large screen televisions ... enter the hat contest. Don you best "classy casual" clothing and join the fun from 4 -8 pm ... cost is $75 per person ... catering is by South River Grill. Come on down! Radical Saul Alinsky's Rules for Radicals included Rule 8: "Keep the pressure on. Never let up." Barack Obama and his administration appear to be following that rule with everything they have jammed down the throats of Americans the past year. But did Alinsky expect the American people to react to Rule 8 by protesting overreaching government? I don't think so. Alinsky, who died in 1971, had seen a nation of sheep full of apathy and misplaced priorities. Never in his wildest dreams would he have expected everyday, ordinary Americans to react so negatively to Rule 8. For the first time in memory, conservatives are openly thumbing their noses at Alinsky's Rules for Radicals and are rewriting history. 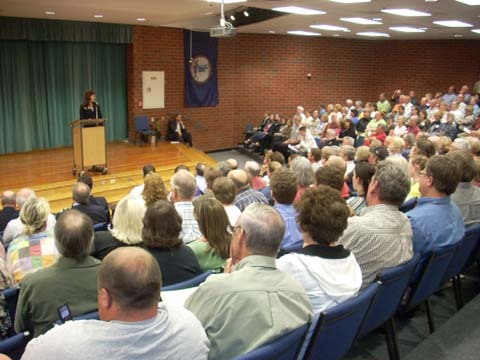 Look at the tea party movement that began early in 2009 ... look at the citizens who attended townhall meetings held during the summer of 2009 ... look at the 1.2 million conservatives who marched in Washington on September 12, 2009. Millions again gathered nationwide on April 15, 2010, as they continued to protest against Democrats, Barack Obama, Harry Reid, and Nancy Pelosi's strong-armed passage of ObamaCare, cap-and-trade, banking and private company buyouts, and much more over the past year. In 1971 Saul Alinsky's rules may have worked. However, it's 2010 ... a sleeping giant has been awakened ... and many Americans are well aware of what Barack Obama and the liberal Democrats are trying to do to this country. Somehow, I don't think Alinsky ever had an inkling this would happen. It makes me want to shout, "God bless America!" GM paid back their loan ... or did they? The news that General Motors repaid some of its loan last week was hailed by the White House and others. But the picture is not that rosy. Guest host Jacki Lyden talks with Micheline Maynard, senior business correspondent for The New York Times. NPR checks out the rest of the story. The transcript is here ... the audio is here. Update: H/T to Paul for passing along the Forbes.com link that delves even deeper into the GM story. The publisher of former President George W. Bush's book "Decision Points" on Sunday set a Nov. 9 release date, unveiled its cover design and announced new details about it. I definitely want that book to add to my political library. On April 30, just one week before seniors graduate from James Madison University, Congressman Bob Goodlatte (R-6th CD), who represents western Virginia from Winchester to Roanoke, will hold a Job Fair at the JMU Convocation Center in Harrisonburg. Representatives from local businesses, corporations, and federal agencies will be available to speak with those who attend. Ross Mackenzie: "How do you know when you are part of a revolutionary movement?" A possible partial answer: When they -- critics, opponents, the nameless they who seem to rule -- start trying to define you, as opposed to letting you define yourself. They -- leftists, Democrats, mainline pressies -- have sought variously to define Tea Partiers as racist, fake (faux grass-roots, "Astro-Turf"), extremist (Nancy Pelosi), irrelevant, and prone to violence (could Bill Clinton have had Tea Partiers in mind when he recently recalled the horror wrought by Timothy McVeigh?). The several thousand attendees defined themselves broadly as middle-class and definitely not "privileged." They presented not as violent, not as extremists, and not as racists. They were polite and calm. The rally had an almost Fourth of July sense to it. With the mainstream media and lefty liberals trying to define the tea party movement, it is obvious most have never been to one of their rallies. The March on Washington that took place September 12, 2009, was an example of hundreds of thousands of conservatives -- the most accurate count is 1.2 million -- protesting the policies of the government ... but not as militants. They were hard-working, responsible Americans concerned about the direction of their country and, after years of apathy, were finally standing up and speaking out and exercising their First Amendment rights. ... nearly every local Tea Party embraces five basic principles: fiscal responsibility, personal responsibility, limited government, the rule of law, and national sovereignty. Of course, many Tea Party members are social conservatives, but economic issues remain the unifying principle." Long simmering, their fury has been fired by stimulus bills and ObamaCare, and now is building toward November's congressional elections that may prove the boiling point. And this is what gives the screaming meemies to them -- the theys who see Tea Partiers as potentially genuine revolutionaries potentially capable of ending their reign, and so seek to describe them in malignant terms they do not deserve. Are "tea party patriots" -- who encompases conservatives from many groups -- part of a revolutionary movement? Going by Mr. Mackenzie's definition, I would say, "Yes." As a home school mom, I was constantly searching for teaching materials while educating my two children at home. With a strong emphasis on American history, civics, government, and geography, our classroom displayed the Declaration of Independence and the U.S. Constitution as well as an American flag, a Virginia flag, the Bible, the Ten Commandments, and books with other great documents including the Magna Carta and maps of the U.S.
One history series I discovered was America: The Story of US, a graphic- and photo-filled series of books depicting the history of the United States. America The Story of Us is an epic 12-hour television event that tells the extraordinary story of how America was invented. With highly realistic CGI animation, dramatic recreations and thoughtful insights from some of America's most respected artists, business leaders, academics and intellectuals, it is the first television event in nearly 40 years to present a comprehensive telling of America's history. Elaborate, ambitious and cinematic, America The Story of Us will take you into the moments when Americans harnessed technology to advance human progress, from the rigors of linking the continent by transcontinental railroad--the internet of its day--to triumphing over vertical space through the construction of steel structured buildings to putting a man on the moon. It is an intensive look at the people, places and things that have shaped our nation, and the tough and thrilling adventure that is America's 400-year history. Episodes 1 and 2 were shown April 25. Watch for repeat showings on The History Channel with follow-up episodes, two a week, the next five Sundays. Will this be a politically correct series? We will find out. Congratulations to my fellow SWAC bloggers for their BNN rankings this week ... Yankee Phil is #2 and Fishersville Mike is #4. Speaking of Mike, he has his weekly roundup of posts from around the blogosphere. 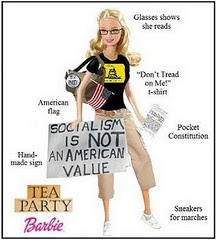 I found this "Tea Party Barbie" on his right sidebar ... too cute! Phil is spot on with this post about Bill Ayres and the leftists trying to rewrite history, summing it up by saying, "What a great big pile of yak manure!" Good post. Riley at Virginia Virtucon found GEICO insurance had to fire their voiceover artist. Be sure to check out the comment from Rick Sincere. Donald at American Power highlights the hatred of the Left against Sarah Palin. They are a shining example of, "Listen to what I say, not what I do." Aren't you glad they don't believe in hate? The Other McCain looks into the liberal Left "Coffee Party" and discovers The Coffee Party: It's About Hate. 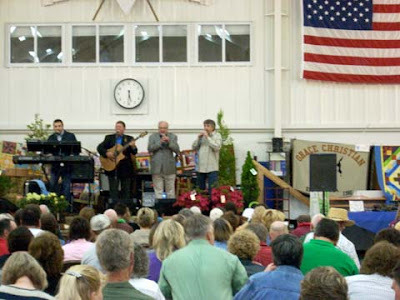 Local band "The Coachmen" entertained at the annual Grace Christian School auction held Saturday in Staunton, Virginia. It brought out hundreds of attendees who bid on silent as well as live auction items. Del. Dickie Bell and his wife, Anne. Sorry for the lopsided photo. 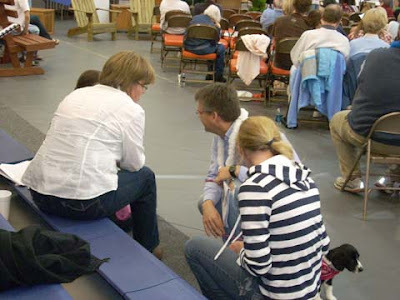 SWAC Daughter played with a black-and-white puppy that was to be auctioned (on floor behind her). He went for $350. Checking out items in the auction catalog. Alex bought a guitar that was broken in by Will and Langden Reid ... Kurt bought a special historical item. 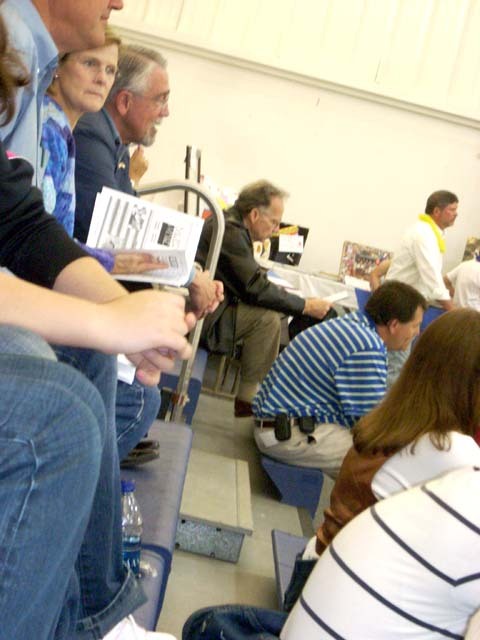 SWAC Husband watches the action as GCS newsletter editor Debbie Summers (pink sweater) takes photos. Now retired headmaster John Morrison (white shirt). He bid on and got two Adirondack chairs. Friend Christine is in blue talking with her husband Sam. SWAC Husband and Kurt stand with others to participate in the "heads-or-tails" game for a chance to win a TV. The leis around their necks identify them as players. Finalists went up front for the last round. Hundreds turned out for fellowship and to raise money for Grace Christian. 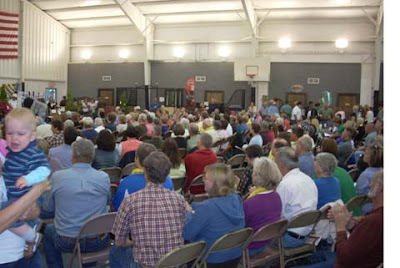 Though it's a fundraiser, it's more like a big homecoming every year as friends gather to visit and support the school. Don and Harold Reid of Statler Brothers fame were there with their wives, as they are each year, along with their children whose kids attend the school. It was another great event and we thank all who were involved. Pray for our nation on the National Day of Prayer. Bob at The Journey has the proclamation by President Abraham Lincoln from March 30, 1863. Glenn Beck: "Do not confuse truth with hatred"
We are on a progressive nightmare train to hell. Our system is not smearing people anymore ... it's training people to hate thy neighbor. We have to stop that. Martin Luther King talked about no matter how much they hate, you treat with respect. I haven't done that. I have to. It's going to be hard because people confuse the truth with hatred. Do not confuse the truth with hatred. I do hate the things that are being done to my country ... but I don't hate the people involved. And when I start to feel that anger rise up in me, quite honestly, I pray because of the scripture that I read that talks about the Lord will turn away from you and that's not what we're supposed to do. Here's what I think we're supposed to do. We have to use our free speech and go in the other direction. We cannot spread messages of hate, we just have to spread the truth, and have faith in the American people that when they see these things, when they see actual videos -- the people themselves saying the things that you've been saying all along -- then Americans will wake up. Check out Glenn Beck's Pledge of Nonviolence. 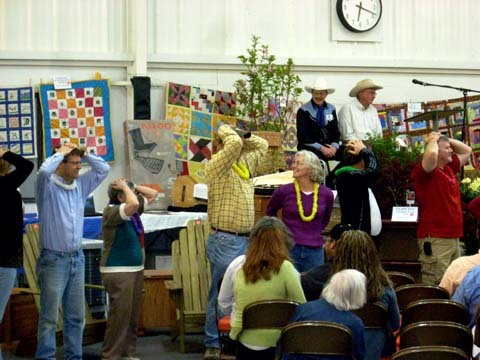 It's a rainy day in the central Shenandoah Valley ... perfect to don your your boots, tie a bandana around your neck, and head out for a fun evening with friends and neighbors for the 11th annual Boots & Bandana Benefit Auction at Grace Christian School in Staunton. A favorite year after year, the proceeds benefit the school while providing bargains for those who bid on donated items. Mix in some lively bluegrass music, a silent auction, fellowship with friends, and a BBQ supper followed by the live auction that runs into the night, and you have the makings for an entertaining event. 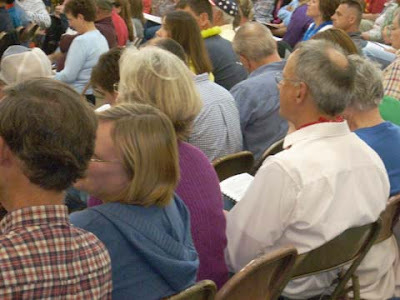 Hundreds of folks attend every year. 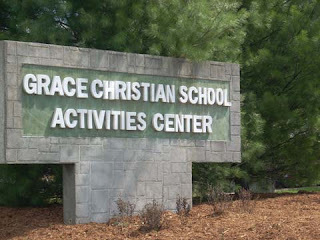 Located in the Grace Christian Activities Center on Middlebrook Road, registration will begin at 3:00. Cost is $15 per person (18 and older) which buys you a ticket into the event and BBQ supper. The silent auction will open at that time for browsing and bidding. At 5:00 they begin serving the BBQ supper with entertainment provided by a local blue grass band. 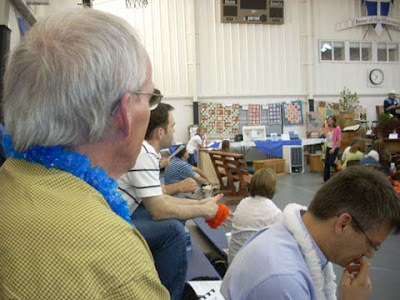 Come on out to the auction and be prepared to have a good time. THYME Magazine ... "The bill we had to pass to know what's in it"
What a bitter pill for America ... ObamaCare ... the bill we had to pass to know what's in it. Americans are outraged and rightly so. Many Democrats now have buyers remorse. Bob looks into it in the latest issue of "THYME Magazine ... Citizen Journalism with a Better Flavor"
If we cannot expect our elected representatives to read the fine print, why have we hired them to do the job? That includes Jim Webb and Mark Warner, U.S. Senators who, in my opinion, sold out the citizens of Virginia. It's time for better representation. Tom White's News Hound sniffs around the blogosphere every day to flush out posts of interest. Today he's linked to stories from Red State, Michelle Malkin, The Other McCain, and Virginia bloggers. Thanks for the link, Tom. The Washington Examiner is reporting that conservative radio and Fox News commentator Glenn Beck will deliver the commencement address at Liberty University in Lynchburg, Virginia, on May 15, 2010. I'll bet that ends up being one powerful speech. The mountains called ... SWAC Husband and I answered, taking our lunch and heading for the Skyline Drive. 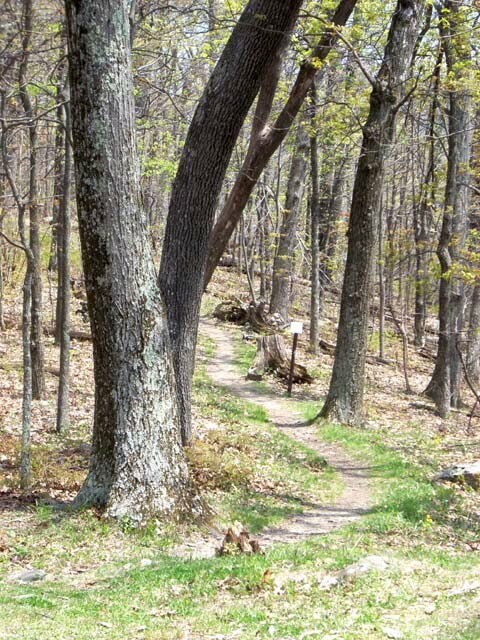 We are blessed to be in the shadow of Shenandoah National Park and the beauty and tranquility it provides. 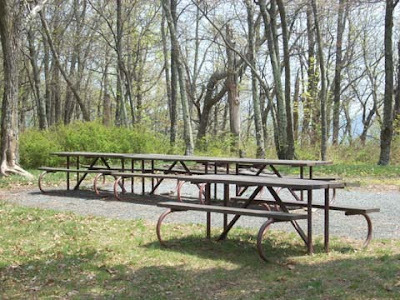 Dundo picnic area had some visitors and a bus load of Rockingham County public school students at the group picnic area. I remember when this overlook water fountain worked. It has been permanently shut off. 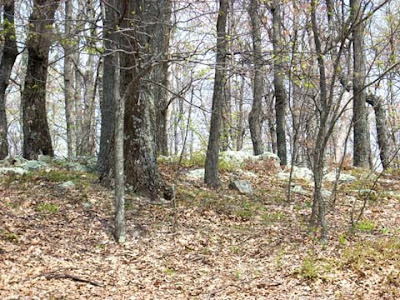 The mountains are greening but bare woods are still at higher elevations. We counted 20-30 bicyclists along the Drive throughout the day. The mountains were beautiful, as always. The serenity of the Drive was relaxing, as always. 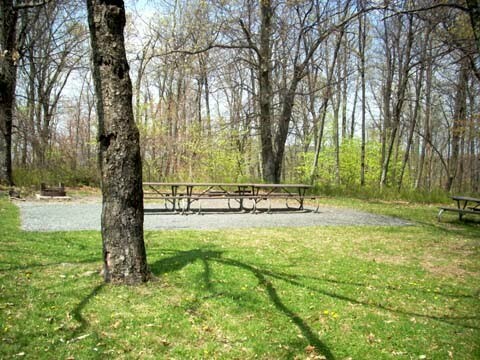 Dundo picnic area was open on the southern end of Skyline Drive but Loft Mountain campground and wayside were both still closed. Workers at Loft Mountain were making repairs at the wayside while asphalt trucks were paving the road into the campground. Much work has been done to clean up winter debris. 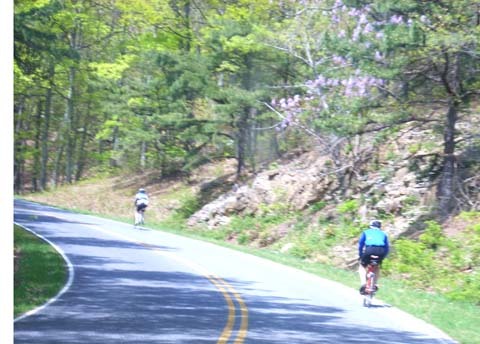 Besides the more-than-usual number of bicyclists, we also saw backpackers walking along the Drive and a number of cars parked in hiking areas although there was not much traffic on the Drive itself. It was a good day to visit and celebrate our wedding anniversary as we danced with the mountains. 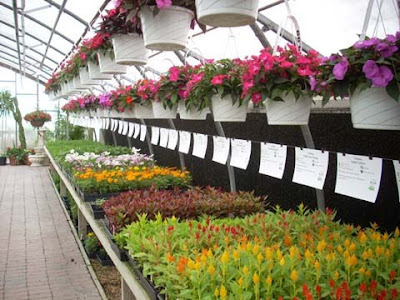 Milmont Nursery's greenhouses are full of annuals for another growing season. They also have garden vegetables and perennials. When asked at Wednesday's Shad Planking if he was planning to run again for public office, former Virginia Governor George Allen's response was, "Perhaps." He was the keynote speaker at the Wakefield Ruritan Club's annual gathering of politicos in the piney woods of Isle of Wight County where beer flowed freely and speechifying was the sport of the day. [Allen] said Americans are "disturbed and dismayed with a disconnected, out-of-touch government that seems to be against us." He said more Americans need to find work -- "the best social program is a job" -- and spoke of the need for energy independence and controls on spending to ensure the American dream. 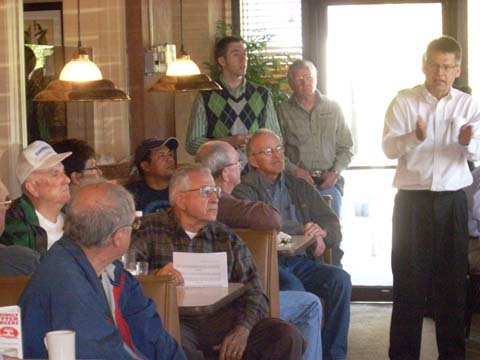 "We need to rein in surging spending and skyrocketing indebtedness," Allen told the crowd. "New and higher taxes are not the answer." The prediction of many is that we will see more of George Allen ... much more. Can anyone say, "2012"? Feeling like seafood for lunch or dinner? 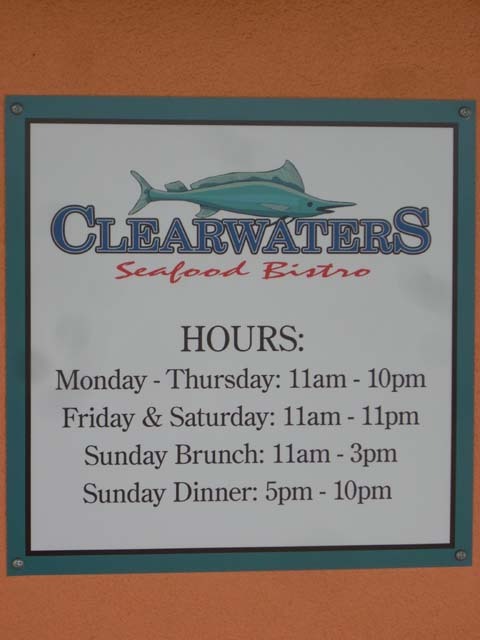 You may want to check out Clearwaters Seafood Bistro, one of Waynesboro's newest restaurants. 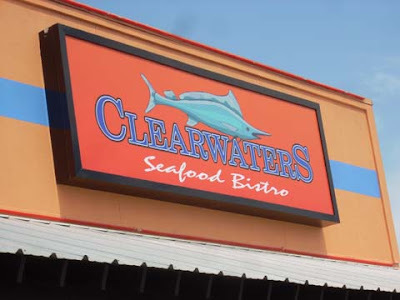 Located on Red Top Orchard Road off Lew DeWitt Boulevard (behind Waffle House and across from the new Golden Corral), Clearwaters offers a variety of seafood, sandwiches, chicken, salads, appetizers, desserts, and even something for the little pirates age 10 and under. Today was a nice spring day so my friend Barb and I met for lunch before heading to Milmont Nurseries on our annual buying trip for flowers. The restaurant has been divided into various dining areas and we were escorted to a booth in the bar area ... perfect for two ladies who wanted to sit and talk. A group of 20 ladies were seated at a long table in the main dining room ... other patrons were in yet a third eating area. Barb ordered a bowl of the Loaded Baked Potato soup with cheddarjack cheese, green onions, bacon, and sour cream that came with crackers and yeast dinner rolls for $4.99. One spoonful and she was in love with the chunky pieces of potato in a creamy base. The rolls were hot and buttery. I had the Sassy Standing, one of three "best of" selections from the lunch menu suggested by our very helpful waitress, Dana. It was described as, "An unbelievably delicious mound of lightly breaded shrimp tossed with our secret spicy sauce. There will be a skirmish over the last one! Served with fresh steamed vegetables and island rice." At $6.99, it sounded like a good value for a filling lunch. Dana said the veggies and rice could be substituted with fries and cole slaw but I went with the original. It was yummy. The steamed veggies consisted of thinly sliced carrots, squash, zucchini, and green beans with just the right flavoring. The island rice was seasoned but a tad dry. The "secret" spicy sauce and shrimp were subtle at first and then the spiciness came through -- not too much but just enough to make your mouth water for more. They have a nice bar area with three TVs (one was on Fox News), afternoon Happy Hour, and Sunday Brunch from 11 am to 3 pm. 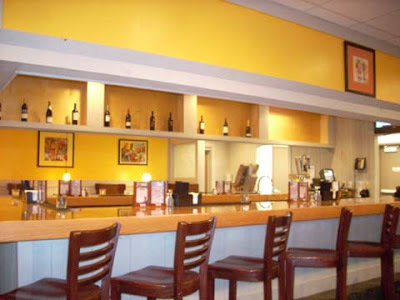 The restaurant offers a banquet room and private dining rooms for groups and is available for breakfast, lunch, and dinner. 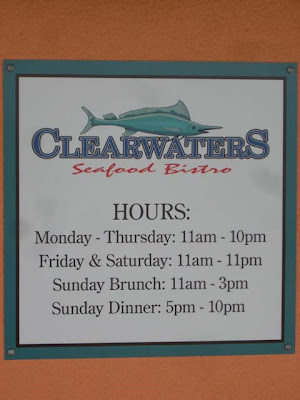 Clearwaters Seafood Bistro's bar area. What if no one showed up for a budget meeting? 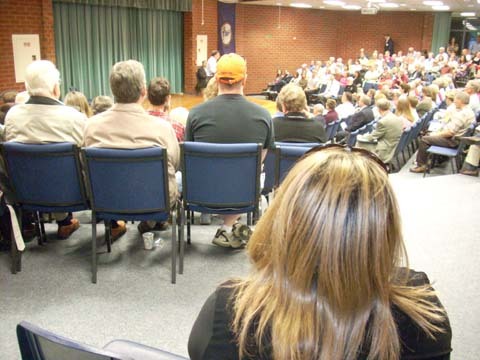 That's almost what happened Wednesday night at the Augusta County Board of Supervisors public hearing for the 2010-11 budget when only about 25 citizens showed up. After so much outcry about too much spending and cuts in programs, I expected to see the government center packed with people. NBC-29 was there with the satellite truck. WHSV TV-3 was there. Bob Stuart with the Waynesboro News Virginian was there and wrote Tax rate, budget cuts take their toll. A home school teen was there to lead the Pledge of Allegiance. Someone jokingly said people didn't come out because they know there's no money, a commentary on the many requests for money received by the supervisors. The next meeting of the Augusta County Board of Supervisors is next Wednesday, April 28, at 7:00 pm at the Government Center in Verona. Being a Ukrop's customer for years, the entire episode of selling their stores to Martin's Food Market has been front-burner attention for me. So when I read the BNN headlines and saw Tom White's post, I Went to Martin’s. I Shopped at Martin’s. Martin’s, You Are No Ukrops!, I immediately clicked on it. I began to read ... and then I began to giggle ... and then I laughed out loud. SWAC Husband wanted to know what was so funny. I mumbled that I was reading something by Tom White (they know each other) and continued reading and giggling and he asked again what was so funny. I finished reading, started to give him a synopsis, and then asked, "You want me to read it out loud to you?" Sitting across the room on the sofa reading the morning newspaper, he said yes, so I began to read just as I used to read to my children. With inflection in voice and using my best "Tom White" immitation along with a higher-pitched feminine "clerk" voice, I shared Tom's adventure in MartinLand and we both laughed at his remembrance of the shopping trip from ... well, let's just say it was unpleasant. In full disclosure, I've lived away from Richmond for a number of years and so had to find a Ukrop's wanna-be a long time ago, and two of the best were Harris-Teeter and Lowe's Foods. Service, cleanliness, and quality products were what made me a Ukrop's lover even though, like Tom, I cook quite a lot so didn't necessarily need their ready-made foods. 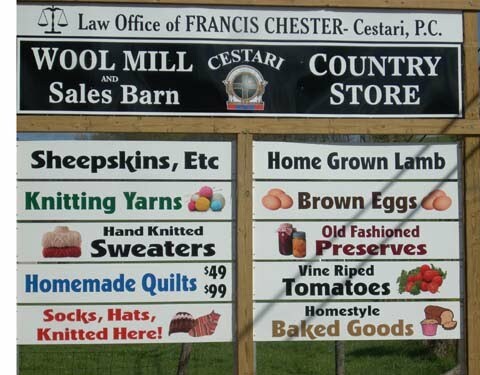 I loved the freshness of their produce and meats, and stayed away from the prepared stuff because, like him, price counts with me. No need paying someone else to chop all those salad makings when I can do it myself. But when you needed a quick meal or lunch, there was no place better ... and a ready-made London Broil panini on sunflower bread was always a favorite. I'll continue to shop Martin's in Staunton. I'll probably continue to shop the Martin's-that-took-the-place-of-Ukrop's in Richmond. But somehow I'm not sure Martin's can maintain a hold on 24 Richmond area stores especially with episodes like the one relayed by Tom. Ukrop's was a destination. When you become like any other grocery store, then any other grocery store will do. 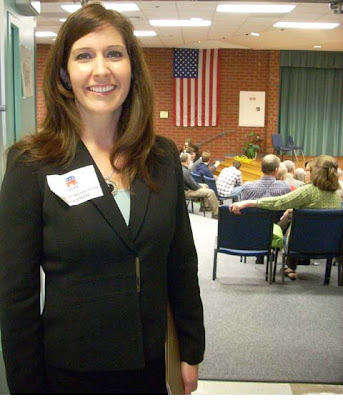 Christine Broughton, new Chairwoman of the Botetourt County GOP. Home school mom of six, Christine listens from the front row as her daughters (foreground) watch from sidelines. 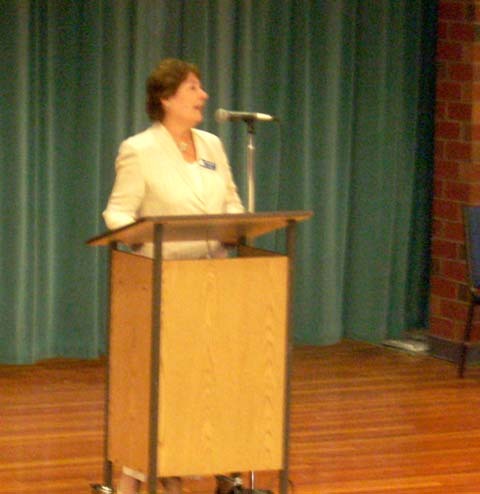 Trixie Averill, 6th District Chair candidate. Christine addressed the crowd before the vote and asked for their support. Sen. Ralph Smith addressed the mass meeting. After hearing she won the chairmanship, Christine thanked everyone. The Broughtons celebrate afterwards. Christine was on the cell phone with one of the many congratulation calls she received. Check out The Botetourt View for more on the election. 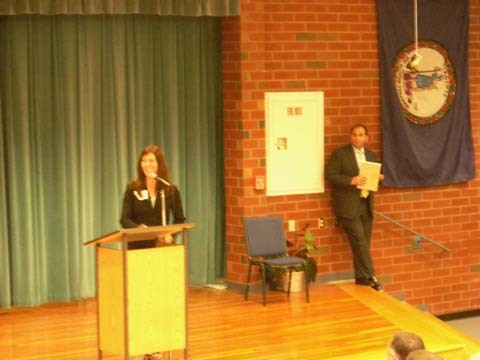 RICHMOND – Governor Bob McDonnell has set Tuesday, June 15, 2010, as the date of a special election to fill vacancies in the 26th and 27th House of Delegates Districts. Voters will be selecting successors to Delegate Matt Lohr in the 26th District, and Delegate Sam Nixon in the 27th. Both have accepted appointments to serve in the McDonnell Administration. The 26th House District includes the City of Harrisonburg and northern portions of Rockingham County. The 27th House District consists of parts of Chesterfield County. The deadline for candidates to file to run in the 26th or 27th District seats is Friday, May 14, 2010, at 5:00 p.m.
On the corner of Beverley and Market Streets, within short walking distance of the Blackfriars Theatre, is historic Staunton's Coffee on the Corner. A favorite of locals, it's a great spot to drop by for coffee, tea, a panini sandwich, to read the newspaper, hook up with free Wi-Fi, catch up with friends, play a game of chess or checkers, or people watch from the sidewalk tables. 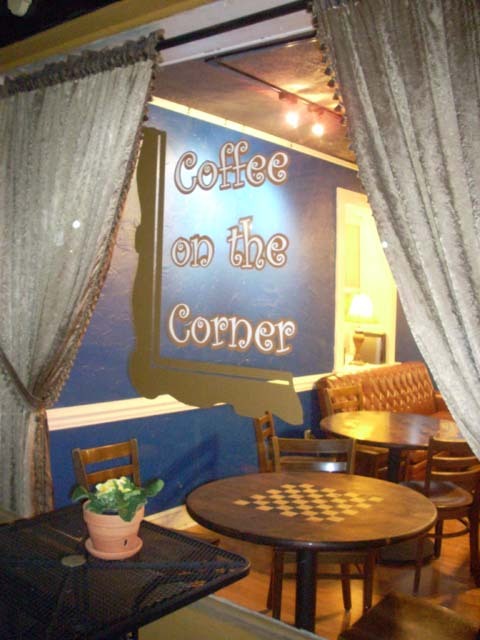 Coffee on the Corner ... stop by while visiting Staunton. 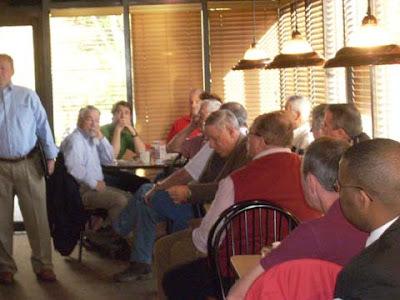 Kurt Michael led the SWAC Round Table Breakfast on Saturday as newly elected Staunton Republican Committee Chairman Alex Davis (left) listened. 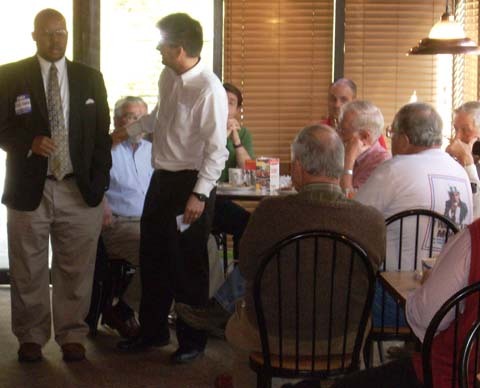 It was another packed room at the April SWAC Conservative Round Table Breakfast Saturday as approximately 55 people from Staunton, Waynesboro, Augusta County, and even Luis Padilla from Harrisonburg, gathered for fellowship and to listen to community leaders. Breakfast began with Staunton GOP Chairman Alex Davis opening in prayer followed by Del. Dickie Bell who led the Pledge of Allegiance. Local conservative leader Kurt Michael emphasized that the SWAC Conservative Round Table is not a political party or organization but rather a gathering of like-minded people who care more about their country and community than they do about political labels. The first speaker was Augusta Board of Supervisor member Tracy Pyles, the only Democrat on the board (and he happens to be my supervisor). 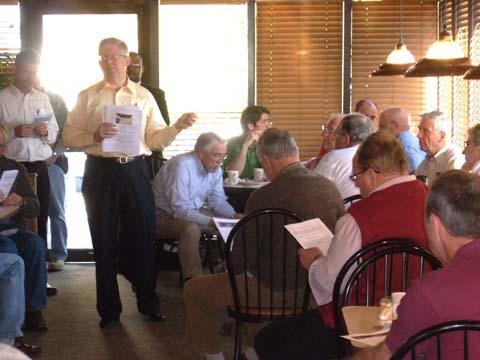 His was a lively discussion about the 2009 real estate assessments that were protested by more than 10,000 county residents, and an explanation of the composite index and how its formula is used to decide state funding for schools and other local expenditures. He talked about the flawed assessments and the inequality in deciding the value of properties, adding that something cannot be right when 49% of county lots were assessed at $50,000. He talked about the need to cut spending, to cut redundancy in services, and the need to look closely at the county budget to find cuts. His comments were peppered with jokes and jabs at himself as he spoke honestly and bluntly about the problem of often being the lone voice on the board against the other six supervisors. He was well received by the crowd ... his remarks were interesting and left folks wanting more information. Seth has accomplished much in his 25 years. 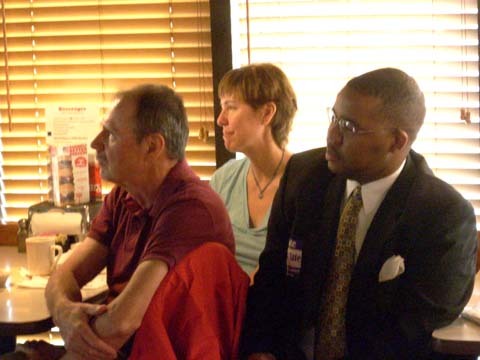 As Grassroots Coordinator for the National Rifle Association–Institute for Legislative Action, he coordinates the day-to-day grassroots electoral efforts and legislative outreach activities for NRA-ILA in fourteen states. 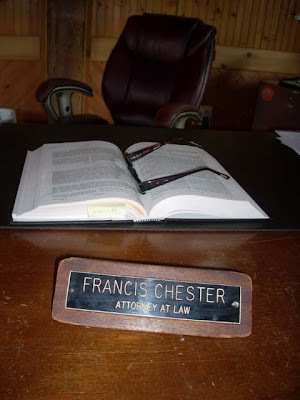 In addition, he coordinates and conducts the Association’s legislative and election workshops, and represents the Association in public speaking engagements nationwide. He has been a lobbyist on Capitol Hill, worked for the Ohio House of Representatives, and on various political campaigns. Because I knew his background, his youthfulness took me by surprise but he got started while in his teens. He stressed the NRA "will work with anyone who supports the Second Amendment." That means Democrats, Republicans, independents ... anyone. Emphasizing all the programs they provide, he also talked about the Heller Decision and other issues, and then answered questions and talked with folks afterwards. 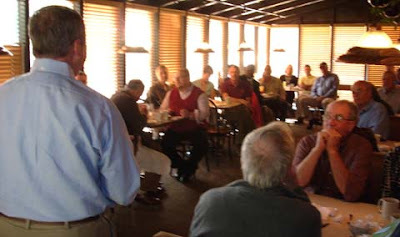 Our thanks to Jason Bibeau for working with the NRA to bring Seth to address our breakfast. Del. Dickie Bell, who attended with his wife Anne, thanked Tracy Pyles for his work in the community and thanked voters for their attention to issues. He also put a word of support in for Staunton City Council candidate Carl Tate whom he has endorsed. Alex Davis, newly elected Chairman of the Staunton Republican Committee, emphasized the positive energy that he has seen from those in the community and said the Staunton Committee has an open door to anyone who wants to work together in the best interest of the country. 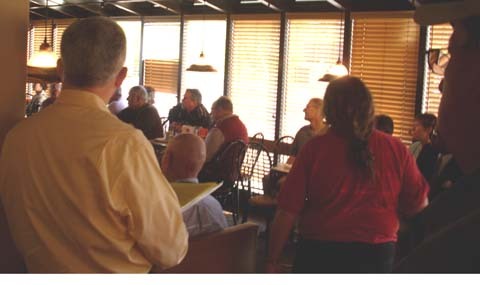 Bruce Richmond, director of the Shenandoah Valley Tea Party Patriots, thanked everyone for coming out to the tea party on Thursday in Gypsy Hill Park where reports were 800-1,000 people listened to speakers who stood up for our freedoms. Charles Kraut, Constitution Party and tea party member, briefly addressed the issue of the country's financial state and his belief the stock market may take a plunge. 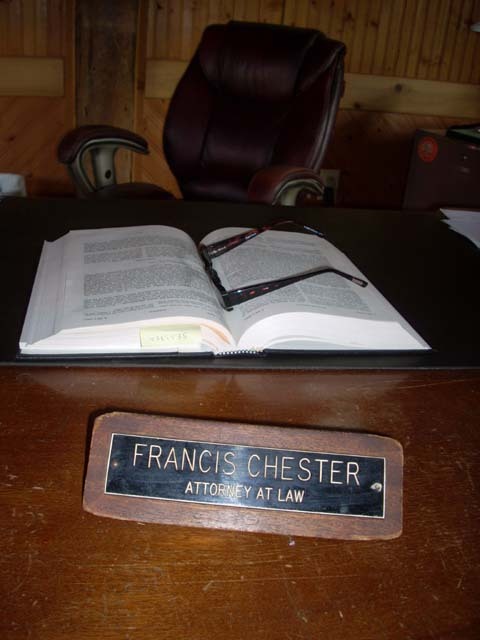 Francis Chester thanked everyone for their help over the past 14 months of the real estate tax battle with the Augusta County government. We were honored to have Chuck Neff and his wife join us for breakfast. 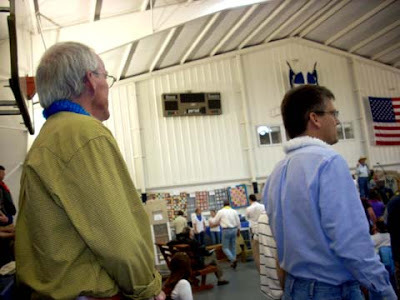 Chuck is President of VAST, the rocketry club that was shut down by Augusta County in the summer of 2009. 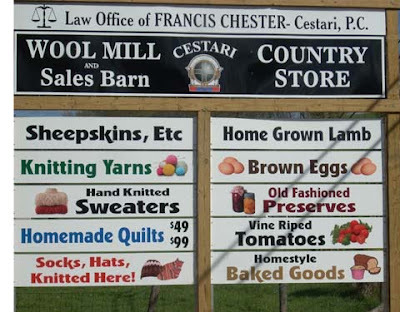 VAST was denied a special use permit to shoot model rockets on 500 acres in sparsely-populated western Augusta County (something he was told was merely a "formality") and retained attorney Francis Chester to represent them in a lawsuit againt Augusta County. Read about the Rocket Boys here. The Board of Supervisors is holding a public hearing for the Augusta County 2010-11 budget on Wednesday at 7:00 pm at the Government Center on Rt. 11 in Verona. 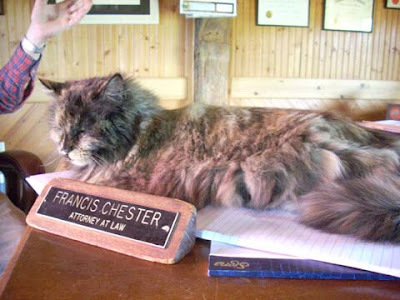 Life is a little more relaxed at a farm law office. 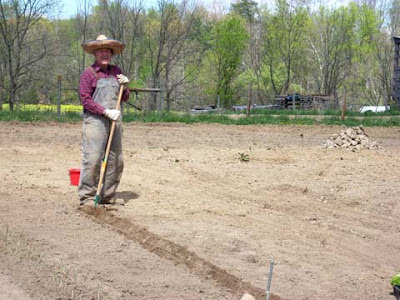 Attorney Francis Chester plants in preparation for the summer produce stand. ... to add more rows of lettuce. Planting in Augusta County provides the extra benefit of beautiful mountain scenery while taking a break from working the soil. Grounded in Florence, Italy. There are worse things in life. Word today from the Washington Post was that Virginia's Lt. Gov. Bill Bolling, in Italy for an economic development symposium, has been grounded due to the volcanic ash cloud over Europe and may not make it back in time for the General Assembly's special session. Looking on the serious side, it would be nice to have our Republican LG here in the event there's a tie vote in the Senate that needs to be broken. Time's Joe Klein accused Sarah Palin and Glenn Beck of "seditious" behavior. There is not enough space to record the liberal examples of "seditious" behavior and comments if we go by Joe Klein's meaning. Check out Newsbusters' response to this ridiculous accusation. The Augusta County Board of Supervisors will hold a public hearing on the 2010-11 budget Wednesday at 7 p.m. at the Augusta Government Center in Verona. Wednesday, April 21, 2010, at 7:00 p.m. 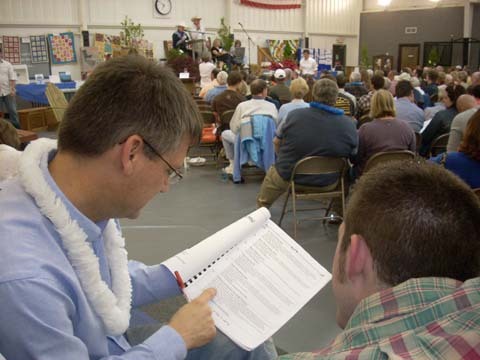 Receive public input on the real and personal tax rates for 2010. In the summer of 2009, Augusta County government shut down VAST, a local rocket club that offered a safe, family-friendly activity for local young people. Led by VAST President Chuck Neff and other responsible adults, it was an activity geared to science and math at a time when many are concerned about our youth's involvement in drugs, gangs, smoking, and drinking. After being shut down by the county which then denied a special use permit (something the club had been told was "merely a formality"), VAST sued Augusta County. The lawsuit is currently awaiting action from the court. 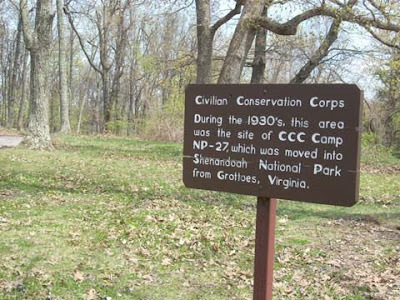 Last week WVTF public radio picked up the story, concentrating on Staunton's R.E. Lee High School rocketry club. In the past, as participants in national rocketry competitions, the club had prepared by launching test flights at Croft Field under the watchful eye of VAST. 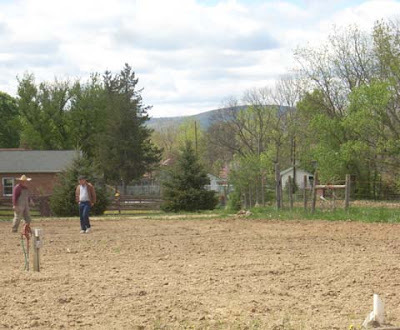 The field is located in the middle of 500 open acres in sparsely-populated western Augusta County. This year, because the use of Croft Field has been barred by Augusta County authorities, the school's rocketry club has had to prepare for the national competition by launching test flights from their adviser's back yard which is surrounded by trees. The few launches that have occurred have resulted in lost rockets, a rocket stuck in a tree, and other issues not encountered in the wide open spaces of western Augusta. The 2010 rocket competition challenge requires the launching of an egg and returning it to earth uncracked. With limited opportunities available to perfect the launch, the club may not win this year. Listen to WVTF's story about Augusta County's Rocket Boys here. Read the entire "Rocket Boy" series here. 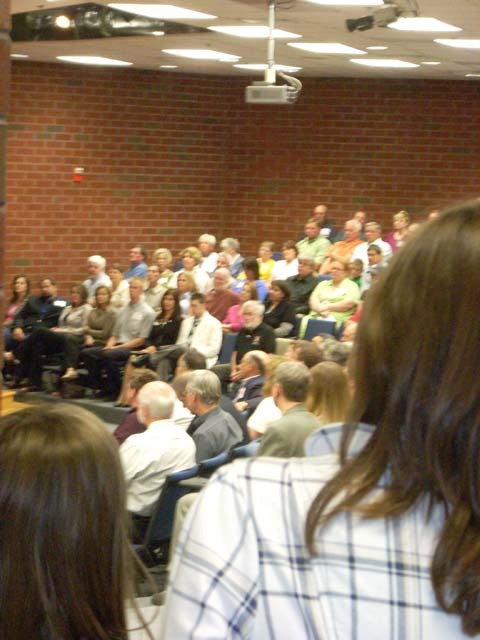 The monthly open-to-the-public staff briefing of the Augusta Board of Supervisors is today, Monday, April 19, at 1:30 pm at the Augusta Government Center in Verona. - A report from the Virginia Department of Transportation including a draft of the Six-Year Plan. - Presentation of the annual report of the Recycling Committee. - Presentation by the Virginia Cooperative Extension Service on an 18-month analysis of Electronic Weather Monitoring Stations data. - Presentation by staff on options for dealing with methane-gas issues at the Regional Landfill. - Discussion of the submission of an arts grant to the state for the Staunton Augusta Art Center, ShenanArts, the Stonewall Brigade Band and the Shenandoah Valley Art Center. - Discussion of the recommendations of a Board of Supervisors committee regarding the proposed Riverheads-Greenville fire-rescue station. 1. Augusta Health Care Inc., rezoning, located in the northwest quadrant of the intersection of Tinkling Spring Road (Route 285) and Goose Creek Road (Route 636) in Fishersville (Wayne District). 2. Cedar Bluff Inc., rezoning, located in the northwest quadrant of the intersection of Benz Road (Route 1614) and Kolb Circle (Route 1615) in Lyndhurst (South River District). 3. County of Augusta (Stuarts Draft Park), amend and restate proffers, located on the east side of Edgewood Lane (Route 1562) approximately 0.1 of a mile south of the intersection with Stuarts Draft Highway (Route 340) in Stuarts Draft (South River District). 4. Upper Valley Regional Park Authority (Natural Chimneys), public use overlay, located on the north side of Natural Chimneys Road (Route 731) just east of the intersection of River Road (Route 730) and Natural Chimneys Road (North River District). 5. County of Augusta (Crimora Park), public use overlay, located on the north side of New Hope and Crimora Road (Route 612) approximately 0.5 of a mile west of the intersection with Eastside Highway (Route 340) in Crimora (Middle River District). The meetings are open to the public and all are encouraged to attend. The Government Center is located on Rt. 11 in Verona. Turn at the Community Bank and cross the railroad tracks; take first right and follow signs to Public Meeting Room. The Virginia Federation of Republican Women met over the weekend in Roanoke for their annual convention. Just got back from the Republican Women's Convention held at the Hotel Roanoke in Roanoke, VA, this weekend. Gov. Bob McDonnell was the keynote speaker Saturday night and I must say I was impressed by his moral character. He reminded us that we needed to reinforce and govern by the Republican Creed. He specifically mentioned the last sentence, "That faith in God, as recognized by our Founding Fathers, is essential to the moral fiber of the Nation." I was impressed by his integrity and determination to get us back on a conservative track. On a lighter note, he mentioned that by opening the rest stops, he helped people with small kidneys or large families and that he had both. All in all, I am proud that Bob McDonnell, Bill Bolling, and Ken Cuccinelli are the leaders of this great State. Congratulations to new VFRW President Fay Williamson of Chesterfield who was elected over the weekend, and thanks to outgoing President Brenda Campbell for her leadership. Thank you to all the ladies for what they do to help advance our Republican candidates throughout the Commonwealth. 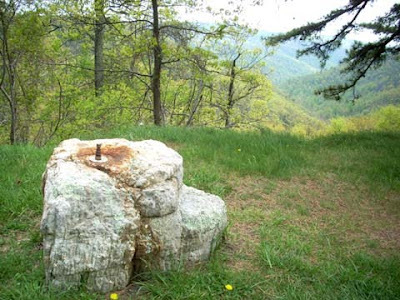 Free entrance to many of America's national parks in Virginia is available this week including Shenandoah National Park. In West Virginia, the Harpers Ferry National Historical Park is included. If you're out west, Grand Teton National Park and Yellowstone National Park are fee free. Check out the links for details. The stories of health care nightmares have come from Great Britain and Canada, and we've all heard of people who have come to the United States for surgery and patient care far superior to that in their own countries. Tom White exposes an English woman's nightmare fighting cancer within their health care system. Unbelievable and, as he asks, signs of things to come in America? 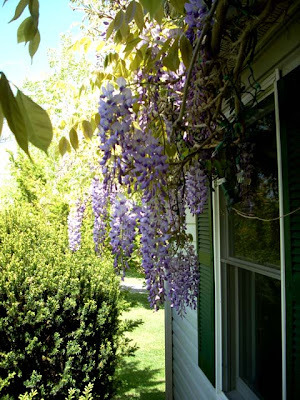 The wisteria vines are loaded with heavy purple grape-like blooms that fill the air with sweetness. Augusta Supervisor Tracy Pyles speaks as Del. Dickie Bell and Carl Tate listen. Staunton City Council candidate Carl Tate addressed the crowd. Carl has also been endorsed by Gov. George Allen, state Senator Emmett Hanger, Del. Dickie Bell, and Del. Steve Landes. Charles Kraut of the Constitution Party. Tracy talks to the packed room. 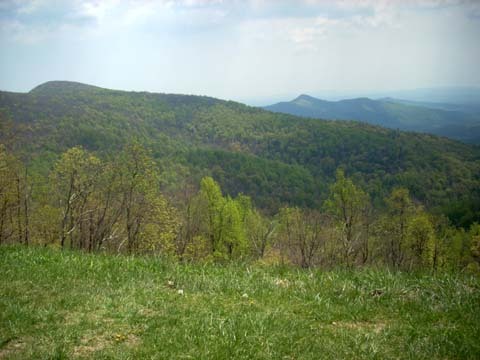 George Allen: "Hello, Shenandoah Valley!" Riley asks, "Ham Sandwich for President?" "Thank you, Governor Bob McDonnell"
Red State: "The White House Phone Rang at 3 a.m."